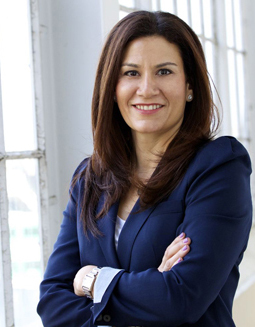 Hilary is a founding partner at Buchli Goldstein LLP. Hilary's practice is focused primarily on representing production companies, distributors, broadcasters, individuals, and financiers on all aspects of the development, production and exploitation of film, television, and new media properties. Hilary has vast experience in structuring international treaty co-productions, co-ventures, domestic content productions, as well as acting for both lenders and producers on complex financing transactions. She regularly advises clients in their dealings with governmental agencies and Canadian cultural industries. Hilary has been recognized as a leading Entertainment lawyer by The Canadian Legal Lexpert ® Directory, The Best Lawyers in Canada, The Legal Media Group Guide to the World’s Leading Lawyers and by Euromoney’s Guide to the World’s Leading Technology, Media & Telecommunications Lawyers. Before starting the firm with Christina, she was a partner at a national law firm. Hilary is a frequent speaker and lecturer at conferences on a range of media-and entertainment related issues and is on the board of directors of Film Ontario.